A wonderful idea for some quiet time! 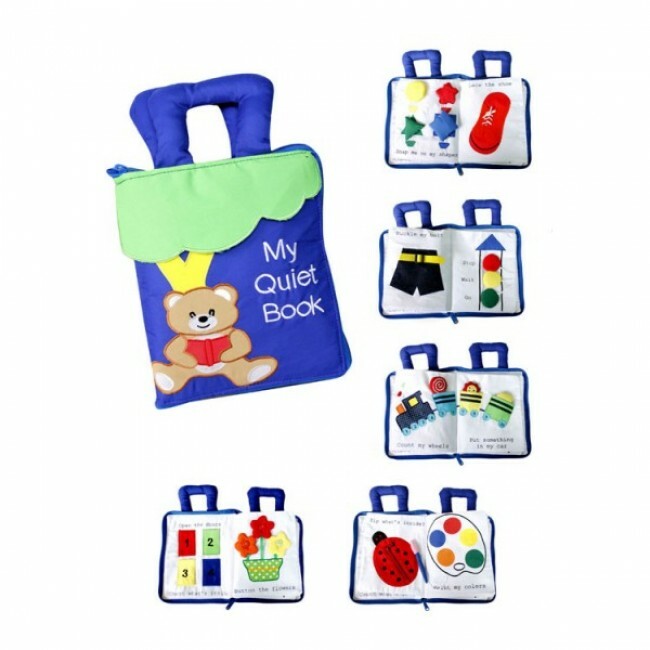 Young children will become absorbed in the activities in this beautifully crafted book while also practicing and learning some necessary life skills. Activities include tying laces, doing up buckles and buttons, a zipper with a baby ladybug inside, and colours and shapes. The book also includes feeling and describing of various textures, naming prepositions eg. in, out and counting to 10. 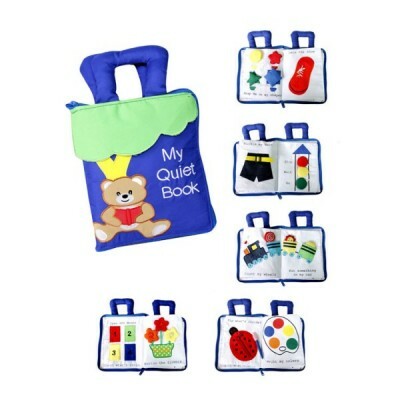 Soft and safe for the youngest child, the book can be zipped shut and comes with handles. Perfect for car journeys!